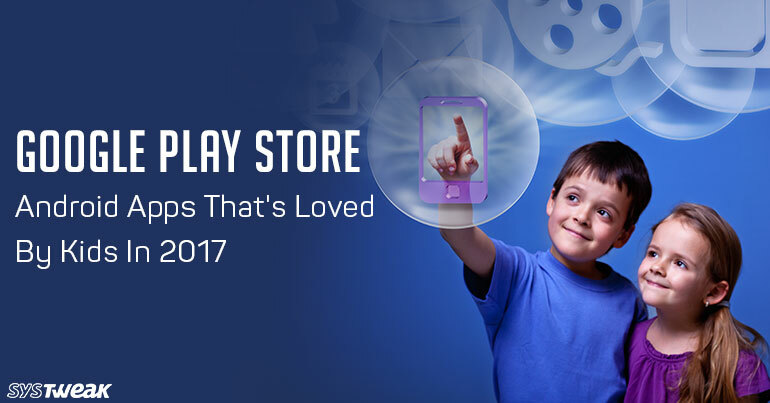 2017 has given a plethora of apps that can help your kids to learn about new things, technology and even engage them when they are getting bored. Learning is fun, when games are included in it. The apps for kids make sure that your children learn about one thing or the other while having fun time. The apps which were successful in engaging kids in a playful manner has been awarded as the best apps by Google Play Store in the kids category in 2017 as well. We have compiled the list of the best apps that are loved by kids this year. With 123 Numbers, you can help a preschool child to learn the numbers, tracing, counting in a fun way. It is an interesting way that attracts toddlers to focus on understanding numbers in a better way. 123 Numbers is a beautifully designed app that comes with bright, colorful games, that make kids learn about counting while playing and enjoying it. As the app comes with customizable features, parents can customize the app to get the games according to their kid’s interest. It is a free and ad-free app that plays a major role to understand your kid about counts and tracing. Astronomy for Kids is a remarkable game that takes your kids to the fascinating journey of space. Kids can explore the solar system, planets, stars, constellations and another celestial body. It is the easiest and simplest way to make your child learn about solar system while playing astronomical games. Kids can listen to interesting astronomy facts and test their knowledge with short quizzes. It offers to watch some of the educational movies to know about your solar system while engaging kids in a delightful way. It is another amazing game that made a room for award-winning Android apps that blew everyone’s mind in 2017. Sago Mini Town is a perfect game for your kid’s little fingers. The game is all about building creating your own island town by swapping, placing, dropping playing with variously animated story tiles. The app provides four unique locations to each home to a Sago Mini friend like Lighthouse Island, Treehouse Island, City Island and Farm Island. Sago Mini Town allows you to drag and drop story tiles for endless combinations to make it more fun. It is a mind-blowing app that you can use to make children learn about colors, shapes, patterns, shapes, etc. The app provides ten different activities to resolve little puzzle while sorting straightforward things while playing the game or watching videos. It provides the entire content in five different languages. The bottom line is, the app improves the basic skills and logical thinking of a child. The game is all about Miffy’s World in winter. Kids can join Miffy to explore her world and play together. Help Miffy to select what to wear, take a bath or brush her teeth. Miffy’s World is bringing new surprises and new things every day and keeps the kids engage with a colorful tree and pretty decorations. So, these are the apps that stand out to be the best for kids category in 2017 as per Google Play Store. All the apps deserve to be on the list according to their amazing features and reviews by parents.